Increase cash flow. Improve net profit. Reduce payroll. Influence employee behavior. Recruit and retain employees. Find out how DSP can help you. 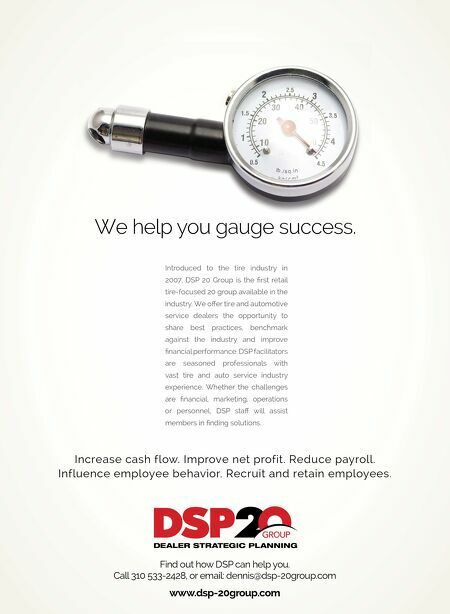 Call 310 533-2428, or email: dennis@dsp-20group.com www.dsp-20group.com We help you gauge success. Introduced to the tire industry in 2007, DSP 20 Group is the rst retail tire-focused 20 group available in the industry. 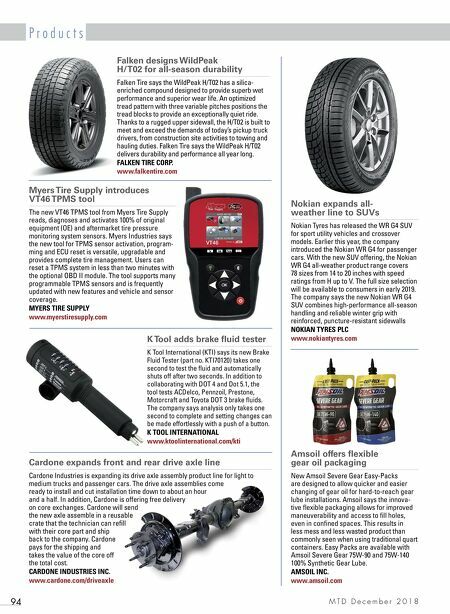 We off er tire and automotive service dealers the opportunity to share best practices, benchmark against the industry and improve nancial performance. DSP facilitators are seasoned professionals with vast tire and auto service industry experience. Whether the challenges are nancial, marketing, operations or personnel, DSP staff will assist members in nding solutions.